HAVE A NICE TRIP to TRAVELER'S FACTORY ! 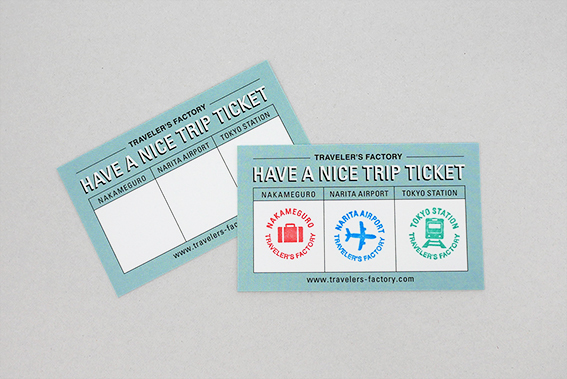 Our original sticker is given to those who hand in "HAVE A NICE TRIP TICKET" with stamps in 3 shops of TRAVELER'S FACTORY; Nakameguro, Narita Airport and Tokyo Station by Sep 30. Firstly you can get the ticket in every TRAVELER'S FACTORY when you purchase something there by Sep 17. And The holder of the ticket can get stamp with or without purchase in other 2 shops. Finally our original sticker is given at the last shop to put stamp. The holder of the ticket can get stamp with or without purchase in other 2 shops. 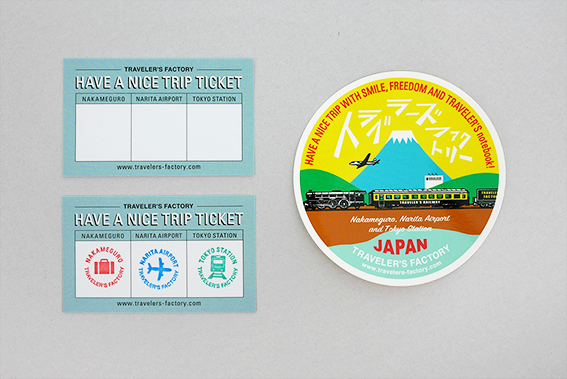 Stamp on the ticket and can get the original sticker are limited to only once per person. 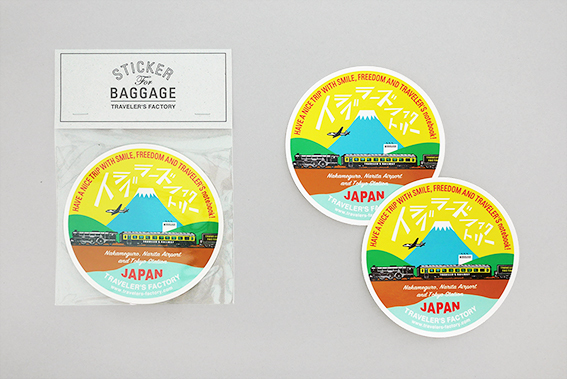 Please receive the sticker by Sep 30. You can get the sticker in exchange of the ticket at the shop only. Sale or transfer of the ticket is prohibited. Please feel free to ask our shop staff if you have any questions.